Lukstudio has designed a shop and cafe for fashion platform Dear So Cute in Haining, east China, with theatrical flourishes to engage with young shoppers. The Dear So Cute space in Haining, a city to the west of Shanghai, is both a retail store and cafe, inspired by the fashion and cafe culture of Seoul. The shop has been designed to communicate the brand's values ,as much as show off the products that are available. 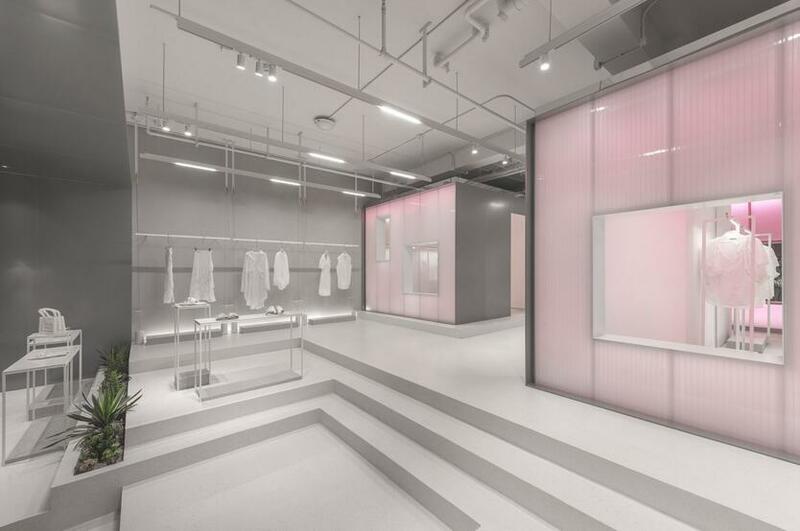 Throughout the space Luk tried to emphasis the brand's "forever young energy" with a minimal, contemporary look and pink highlights. The clean palette serves as a neutral backdrop for the activities going on in the space. "In today's retail environment, most people shop online for the convenience and the reassurance of the review system," Lukstudio's founder Christina Luk told Dezeen. "However, I believe when it comes to delivering a brand's identity and values, the physical store is much more effective." 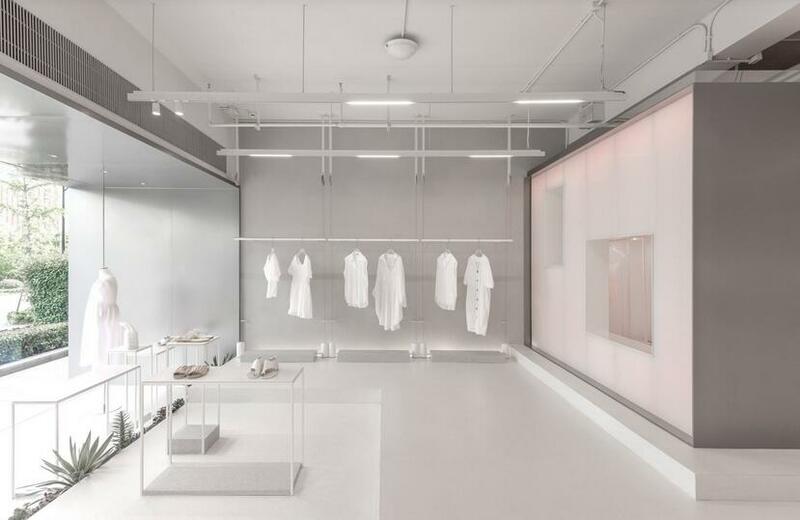 "I think a unique retail experience makes a much deeper impression, and the physical feedback is especially helpful for new brands that are finding their niche in the market," Luk continued. The city of Haining is renowned for its shadow puppetry; a local tradition that Luk used to influence the design themes of the shop. To instil a sense of performance in the store shopping activities are placed on "stages", while the cafe hosts a "seated audience". Three steel-clad boxes sit on an elevated platform with windows that frame the views through the space. Fitting rooms are designed like mini stages in order to accommodate the habit of group shopping, where a potential customer wants to "cat walk" for their friends before making a decision to purchase.